Not sure where I took this picture, except that it was on Islay. 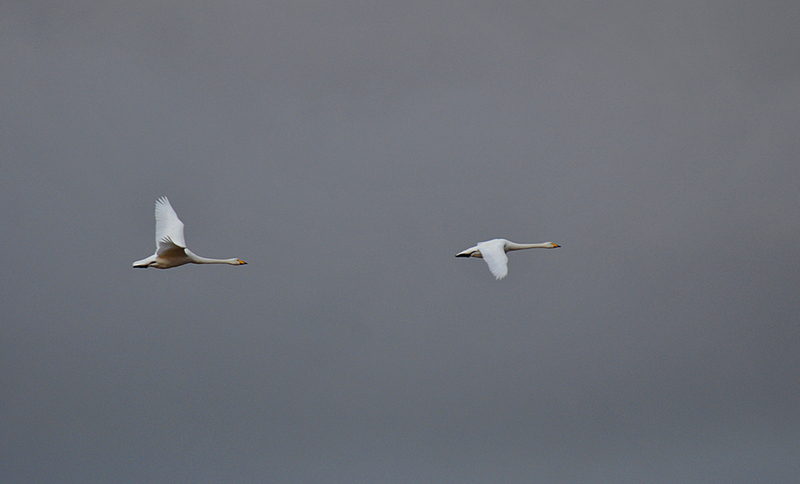 Two Whooper Swans flying past under a dark sky. This entry was posted in Cloudy Weather, Repost, Wildlife and tagged Islay, Whooper Swans by Armin Grewe. Bookmark the permalink. Simple, but beautifully balanced! Great picture!